ABSTRACT: While much has been written about how the Federal Reserve benefits certain private parties and how it generates money out of thin air, this paper delves deeper into the operation of the Federal Reserve as an instrument of war, and its historical role as a primary enabler of armed international conflict. A comparison is done with an analogous monetary institution, the Bank of Canada, to show that the Federal Reserve is being operated differently, with war being its chief historical focus. The above image is licensed under a Creative Commons License. Feel free to use it. You can get a high quality image for printing here. This paper resulted from attempts to derive the logic of mechanisms that govern money supply, with focus on the United States. I will also assess whether or not instruments of money supply have stayed true to the logic behind their existence. And if not, I will try to derive the rationale behind their present operation. 2. Do not encroach on other persons or their property. Maybury regards these laws with the same certainty as scientific principles, a concept he refers to as juris naturalis. Maybury demonstrates that adherence to or deviation from these laws results in predictable economic outcomes. The forces to be dealt with are…so numerous, that it is best to take a few at a time…Thus we begin by isolating the primary relations of supply and demand. Understanding money supply from the perspective of juris naturalis may appear too simplistic, considering the complicated jargon economists currently use. But the interpretation remains as powerful and pristine as a natural law. Money is solely meant to be a medium of exchange, as bartering needs and goods is complicated. Although people have tried using various objects as units of money, only units of gold and silver have proven to be effective. The problem with using units of gold and silver arose when people started violating the two laws. For example, counterfeiters introduced coins minted from other metals and polished with gold or silver. But such crimes were still not potent enough to damage the overall money supply. The money supply was damaged when institutions and/or organizations entrusted with minting the coins violated the two laws. For example, when Roman politicians discovered that raising taxes to finance their wars resulted in public discontent, they resorted to counterfeiting. Any silver coin that made its way back into the Roman Treasury had its edges shaved off, and these shavings were used to mint new coins, which the Roman government would use at its own discretion. When people noticed this, they started reeding the edges of the coins. A coin missing the reeding could thus be differentiated as “clipped.” Undeterred, Roman politicians resorted to debasing the currency, increasing the proportion of copper in the coins. In 54 A.D. a denarius was 94 per cent silver. Almost 200 years later, the silver content had been reduced to 1 per cent. The quantity of denarii increased, but their value plummeted, resulting in inflation. We thus see inflation as a natural by-product of violating the two laws. On the other hand, modern day economists see inflation as inherent but manageable, such that it can be tamed into delaying its cataclysmic effects. No State shall enter into any Treaty, Alliance or Confederation; grant Letters of Marque and Reprisal; coin Money; emit Bills of Credit; make any Thing but gold and silver Coin a Tender in Payments of Debts; Pass any Bill of Attainder, ex posto facto Law, or Law impairing the Obligation of Contracts, or grant any Title of Nobility. But even such measures did not stop further use of legal tenders. 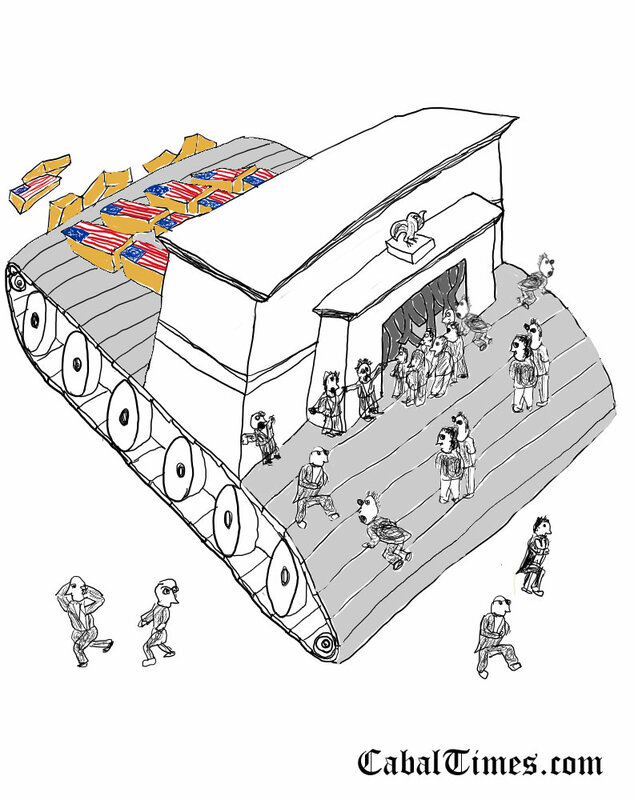 During the American Civil War, politicians on both sides broke the two laws once again by issuing legal tenders to finance their war machines. Both these forms of money, the Confederate Dollar and the Greenback Dollar were destroyed by inflation. This certifies that there is on Deposit in the Treasury of the United States of America One Dollar in Silver Payable to the Bearer on Demand. Most people used dollars without ever converting them to gold or silver. But even guaranteed convertibility did not stop politicians from trying to violate the two laws once again. This time, they had an instrument known as the Federal Reserve at their disposal, which I will discuss later. They needed to print more dollars in order to finance American intervention in World War I. To quote Maybury, these newly created dollars caused the “Roaring Twenties” to roar and caused stock prices to skyrocket when people invested these new dollars into the stock market. The inflation that followed set the stage for the Great Depression, which was heralded by the stock market crash of 1929. In this scenario, it was only guaranteed convertibility that prevented politicians from further devaluing the dollar. Depositors started switching their dollar assets to gold, and politicians were forced to reduce the printing of dollars. This did not fare well with politicians, who wanted to further increase the supply of dollars to finance American intervention in World War II. President Franklin Roosevelt had Congress recall all gold certificates, and the printing of silver certificates was increased to substitute. America was quietly and unofficially put on a silver standard. Silver is not as expensive as gold, giving politicians more leeway to inflate its value. At the end of the war, The Powers That Be across the globe realized how guaranteed convertibility could jeopardize financing of future wars, and decided to further distance themselves from guaranteed convertibility through the Bretton-Woods agreement of 1944. Under this system, signatory countries fixed their exchange rates relative to the American dollar. And America promised to fix the price of gold at $35 per ounce. Instead of maintaining proportional gold reserves, a fractional gold standard was introduced, that allowed politicians to increase money supply under the assumption that most of the money created would never be exchanged for gold. Rather than being an impartial economic recovery plan, the Bretton-Woods agreement was designed to weaken the currencies of non-American signatories by making them dependent on the American dollar instead of their local gold reserves. Every upturn or downturn faced by the American economy would be mirrored in the economies of these countries. For example, when America went off the gold standard, all the signatory countries, including Canada, went off the gold standard as well. The Bretton-Woods agreement was also designed to finance a bipolar postwar world, using inflated American dollars. This New World Order was only meant to be dominated by America and the Soviet Union, as the Powers That Be had envisioned in the Yalta conference of 1945. Other potential emerging powers were to be offered huge inducements in exchange for aligning their currency with the American dollar and opening their markets to American economic intervention. In other words, their leaderships were being bribed into putting aside their nations’ pretensions of being independent world powers as they once were. Billions of inflated American dollars were channelled to these countries in the guise of aid for postwar recovery (Marshall plan). Despite the fact that Japan had made a huge initial recovery without such aid, while Turkey, a major recipient of such aid, went from being a respected sovereign power to a corrupt proxy state of NATO. In 1970, nationalist French President Charles De Gaulle decided to trade dollars received through such channels for gold. Realising that this could become a trend that would jeopardise this New World Order, President Nixon made the America dollar inconvertible to gold directly (except on the open market). The American dollar had finally transitioned into a fiat currency. At this point, it is moot to ask whether or not the decisions being made by politicians were in accordance with Maybury’s two laws. The United States had moved beyond its humble isolationist origins towards interventionism. And its common law underpinnings were being overhauled to accommodate the demands of this New World Order. Supply of the new American dollar was governed by private banks through a complex mechanism known as the Federal Reserve. 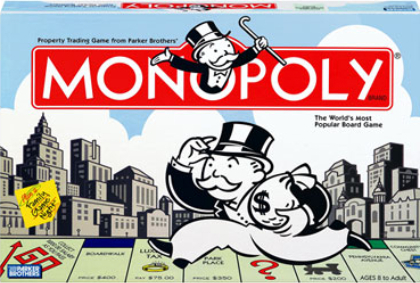 The practice of usury, or interest is taken for granted in the Federal Reserve, though Christianity staunchly prohibited it until the reformation. Judaic scripture still prohibits usury. Ironically, many Jewish people have risen to prominence in interest based banking. However, modern politicians don’t just run the printing presses. They use a more complex system. They use the banks and Federal Reserve. You don’t need to know how it works, all you need to know is that it does the same thing. It increases the amount of money, and that makes the money worth less. Prices rise. Maybury is implying that the United States has resorted to practicing the boom-bust cycle of increased money supply, followed by runaway inflation and eventual devaluation of the currency, as characterized in banana republics. But it is being done in a more controlled manner. We too could leave our understanding of the Federal Reserve System at that, but there are two reasons why a more thorough understanding of it is pertinent. 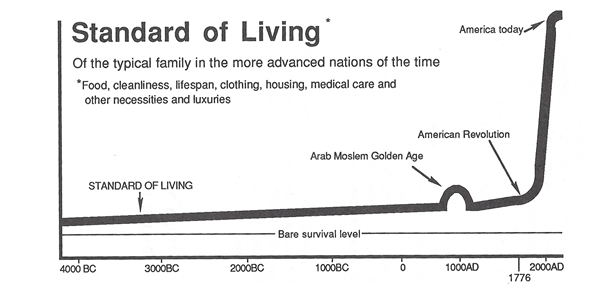 Firstly, the removal of the American dollar from the gold standard and the ascendancy of the Federal Reserve System may be related to the plateauing of the American standard of living (measured as a function of GDP), which had been constantly soaring upwards till the seventies (See Figure I). Figure I: Richard J. Maybury, Whatever Happened to Justice (Placerville: Bluestocking Press, 1993), 221. Copyright © Bluestocking Press, All Rights Reserved. Reproduced for strictly academic/educational use under the Fair Dealing provision of the Copyright Act of Canada. 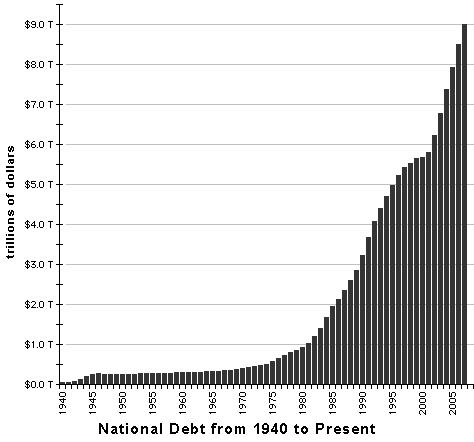 During the 1980s, the federal government’s uncontrolled tax-and-spend policy became an uncontrolled tax-and-borrow-and-spend policy. [….] To pay for its runaway spending, the federal government is now borrowing money at the rate of $1.4 million every two minutes. Today, the American government borrows at a rate of $4.14 billion per day. It is clear that such practices were never meant to be sustainable. This is confirmed by the fact that the Federal Reserve has discontinued publishing the M3 monetary aggregate, which gives the total amount of American dollars in circulation. Looming economic disaster could thus be kept hidden for a long time. And The Powers That Be are using the debt to pursue military objectives that have little relevance to the American population. Worse, the future devaluation of the American dollar will also hurt the prospects of all other currencies still pegged to it through the Bretton-Woods agreement, including the Canadian dollar. Is the sinking of the Titanic related to the creation of the Federal Reserve? Among the private bankers who attended, those aligned to the German Rothschild banking family figure prominently. In fact, Rothschild frontman J.P. Morgan is said to have arranged the trip. And once the Federal Reserve Act was enacted, banks aligned to both the Rothschild and Rockefeller families became the most prominent member banks in the Federal Reserve System, on account of their large sizes. 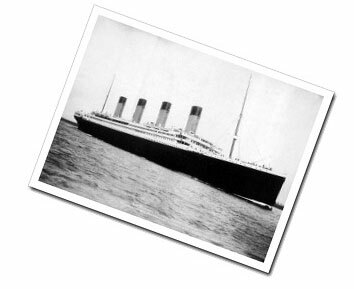 If the conspiracy theorists are to be believed, the sinking of the Titanic in 1912 is related to the creation of the Federal Reserve. According to Bill Hughes, some of the older wealthy families of America wanted a bigger share in the Federal Reserve, and threatened to oppose the creation of the Federal Reserve until their wish was granted. So J.P. Morgan had his White Star Lines build the Titanic. All these competing families were invited for the maiden voyage. But J.P. Morgan cancelled his booking at the last minute. The Federal Reserve: Private, Semi-private, Quasi-private or what? The Federal Reserve System can be considered a quasi-private arrangement. The Federal Reserve Board consists of public officials. Private banks that opt for membership in the Federal Reserve System grant the Federal Reserve Board limited supervisory powers in exchange for some benefits not available to other banks. These benefits may be considered trivial when we take into account that Member banks become Federal Reserve Banks, and can act as monetary representatives of the United States government. They have a say in the issuing of banknotes and in the measures to control money supply. The quasi-private nature of the Federal Reserve System can be best illustrated by the logo of the Federal Reserve Bank of New York (See Figure III). The logo bears the word “incorporated” which is designated for private entities. While the word “Federal” gives the connotation of government authority. Most American banks are not members of the Federal Reserve System but the banks that are members constitute the largest banks in America, with more assets than non-member banks. The gold standard restrained the Federal Reserve System from increasing the money supply whimsically. But with the abolition of the gold standard in 1971, the American dollar became completely subservient to the Federal Reserve System. The influence of the New York bankers appears again and again. Earlier they had opposed a central bank in Philadelphia, while later on they had opposed one because they had in effect been able provide the central bank functions they felt beneficial to them. Did the Federal Reserve System give the New York bankers what they had wanted in light of the weaknesses revealed by 1907? New York City bankers were able to maintain a strong influence in the call loan market and hence in the stock market, and with a central bank the call loan market was now relieved of its previous, tenuous role as a source of emergency liquidity. The bankers also got lower reserve requirements and, perhaps most important, they no longer held the responsibility for controlling panics. The role of New York City banks was now to aid the commercial development of the country, that is, to serve as the source of financing business, and the reserve banks were to serve as the provider of emergency liquidity. 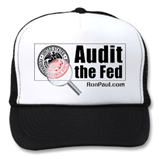 Figure IV: Promotional gear sold on Congressman Ron Paul’s website, promoting his Audit the Fed campaign. Throughout its nearly 100-year history, the Federal Reserve has presided over the near-complete destruction of the United States dollar. Since 1913 the dollar has lost over 95% of its purchasing power, aided and abetted by the Federal Reserve’s loose monetary policy. [….] The Federal Reserve can enter into agreements with foreign central banks and foreign governments, and the GAO is prohibited from auditing or even seeing these agreements. Why should a government-established agency, whose police force has federal law enforcement powers, and whose notes have legal tender status in this country, be allowed to enter into agreements with foreign powers and foreign banking institutions with no oversight? […] If the State Department were able to do this, it would be characterized as a rogue agency and brought to heel, and if a private individual did this he might face prosecution under the Logan Act, yet the Fed avoids both fates. Despite the bill acquiring a cult following among many Americans, many politicians came forward to hijack the bill, proposing modified versions instead, which allowed the Federal Reserve System to maintain its veil of secrecy. As of this date, the bill faces an uncertain future. The basic explanation on how the Federal Reserve System allows its member banks to profiteer runs like this. Suppose the government desperately needs $1 billion. In the absence of the Federal Reserve System, it would raise taxes, or use up accumulated taxes. But with the Federal Reserve System, it asks the member banks for a loan. The member banks grant the loan, and the Federal Reserve prints the $1 billion and issues it to the government at interest. How the banks “grant” the loan is hazy. They certainly do not transfer cash from their own private holdings to the Federal Reserve. To add another layer of abstraction, these processes are “computerized.” To pay back the loan plus interest to the banks, the government taxes the American people (income taxes constituted 43% of Federal receipts in 2009). It is important to note that when the government pays back the loan plus interest to the banks, the banks receive actual cash transfers from the government. If the loan is too big to pay (as is always the case), the government merely pays the interest on it (which accounted to 5% of Federal expenditure in 2009), and the banks become holders of American debt. Holding American debt has asset value, as it guarantees a steady trickle of interest by none other than the United States government. And therefore, it can be inferred that the banks in question are not that keen about repayment of the principle. 3) the defendants have no tangible assets of their own to lend and all their “assets” are “paper assets” which are mainly in the form of “receivables” created by them out of “thin air,” derived out of loans whereas the monies loaned out were also created out of thin air. 43. Other than bookkeeping and computer entries, no money or substance of any value was loaned by the defendants to the Plaintiff. In all of the loan transactions entered into between the Plaintiff and the Defendants, the financial institutions did not bring any equity to any of the transaction. A system identical to the Federal Reserve System was created in Canada in 1935 with the establishment of a central bank known as the Bank of Canada. As in the case of the Federal Reserve System, which came into being to finance American intervention in World War I, the Bank of Canada was created as an instrument financing large-scale Canadian involvement in World War II, and later, the Korean war, by inflating Canadian dollars (See Figure V). When Canada became a signatory to the Bretton Woods agreement, the Canadian dollar was pegged to the American dollar. And when the American dollar was taken off the gold standard, the Canadian dollar still continued to be pegged to the value of the American dollar. The supply of Canadian dollars is governed by the main clients of the Bank of Canada, such as Royal bank, the Bank of Montreal, CIBC and the government of Canada. But unlike the United States, these entities have not facilitated the creation of a gargantuan Federal debt, as in the case of the United States. 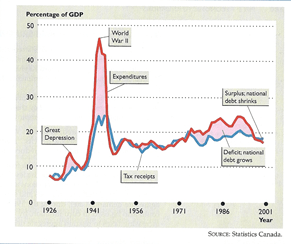 They have even managed to shrink the Canadian Federal debt, creating a surplus instead of the expected deficit! If we are to assume that systems such as the Federal Reserve and the Bank of Canada are created to assist private member banks in profiteering, how is it that both these almost analogous systems have produced completely different results in two neighbouring countries? To arrive at an understanding, we must assume that the Powers That Be created these systems for larger objectives than immediate monetary profit. The Federal Reserve has helped underwrite continued American military expenditures, even after the World Wars. As of 2009, “Defence” accounts for 23% of all American Federal spending. And therefore, the gargantuan size of the American Federal debt is related to the continuation of American military interventions abroad. In contrast, Canada only piled up a huge Federal debt only when the Powers That Be decided to use its resources in World War II. If we assume that such systems are primarily instruments of war, can we also infer that the World Wars could have been prevented in their absence. 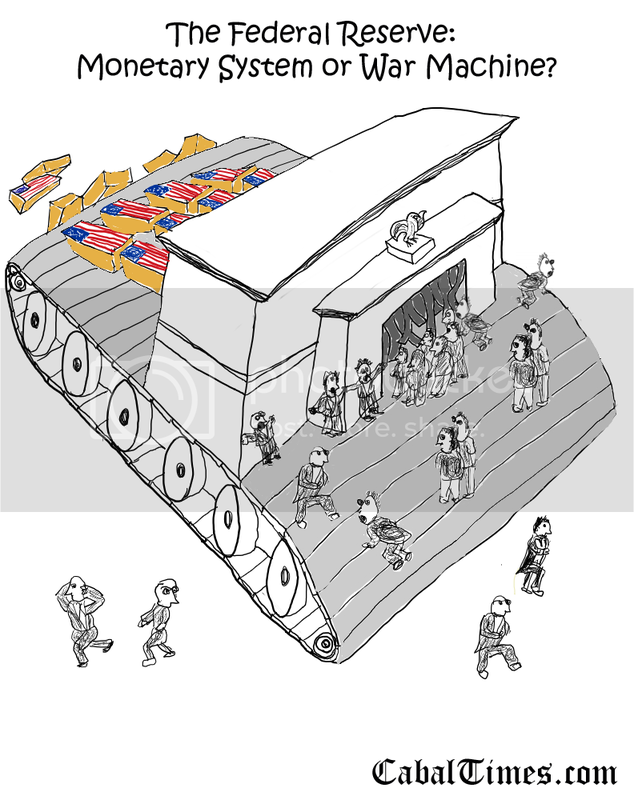 Most of us naively assume that the Federal Reserve only underwrote the American war effort. This is not the case. In World War II, the Lend-Lease program was used to ship supplies worth $759 billion in 2008 to other countries involved in the war. Some of these countries, such as Soviet Union and China, cannot be considered belligerents. Even more bewildering is the fact that the inflated dollars churned out by the Federal Reserve managed to find their way into Nazi Germany, through American private “investments.” Once we discard the myth that Germany recovered after World War I like a punching doll, it appears that the rearmament of Germany was largely the effort of American “investors” investing the new American dollars produced by the Federal Reserve. 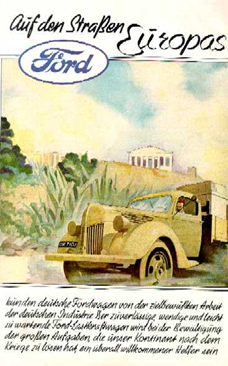 One such interesting case is that of the German chemical conglomerate, I.G. Farben, which was central to the rearmament of Germany. It had on its board of directors Paul Warburg, who also sat on the board of the Federal Reserve Bank of New York. Warburg is considered to be the mastermind behind the creation of the Federal Reserve System. Other board members of I.G. Farben also sat on the boards of Ford Motor Company and the Rockefeller owned Standard Oil. Suspiciously, the main I.G. Farben complex in Germany managed to avoid Allied bombing during the war. West. In both the World Wars, only the Soviet Union made notable territorial acquisitions. While offering a panacea to capitalism, the Soviet system created an unprecedented concentration of power, creating a form of monopoly state capitalism, which was highly favoured by The Powers That Be. The Soviet Union may have thus been a modern day colony of “capitalists” based in places like New York and Calgary. There is suggestive evidence pointing towards the same. Notable capitalists took trips to the Soviet Union as if it were a country club. Since the Soviet Union did not allow private investment, these visitors may have had a direct stake in the Soviet Empire. While the United States spared no effort in creating a military industrial complex to counter the Soviet Union, actual operations against the Soviet Union were half-hearted. For example, the Vietnam War forced many Vietnamese people to ally with the Soviets. There is the case of Australian journalist Roland Perry, who wrote a book suggesting that the late Victor Rothschild (the head of the British arm of the Rothschild banking dynasty) might have been the “fifth man” in the infamous Cambridge Soviet spy ring. In 1983, Congressman Lawrence Patton Macdonald took a flight to South Korea to warn South Koreans that American policy towards that nation was designed to placate the Soviets. The plane literally disappeared, very likely diverted to the Soviet Union. Then there is the case of General Zia of Pakistan, who had supervised the “jihad” against the Soviets in Afghanistan. General Zia was killed in a suspicious plane crash. Despite the death of an American diplomat who was also on board the plane, the FBI showed little interest in investigating the case. The Powers That Be have repeatedly hinted that the American nation is more of a means to an end (manifest destiny? ), and that the sustainability of the American economy and the middle class is not their priority. If the American dollar is not meant to be sustainable by design, what form of money is then sustainable? A growing number of Americans are stockpiling gold (as they are stockpiling bullets). Gold still retains its instinctive appeal. According to Carlton Brown, a commodities trader on Wall Street, when 9-11 happened, all traders on the floor instinctively became fixated on the price of gold. As for the gold that was used to leverage the dollar prior to 1971, even Congressman Ron Paul has no idea of what became of it. Richard J. Maybury, Whatever Happened to Justice (Placerville: Bluestocking Press, 1993), 36. Michael Parkin and Robin Bade, Microeconomics: Canada in the Global Environment 5th ed. (Toronto: Pearson Education Canada Inc., 2003), 148. Richard J. Maybury, Whatever Happened Penny Candy (Placerville: Bluestocking Press, 1993), 21. Wikipedia contributors. “Gold standard.” Wikipedia, The Free Encyclopedia Wikipedia, The Free Encyclopedia, 20 May. 2010. Web. 27 May. 2010. Cushing T. Daniel, Real Money Versus False Money – Bank Credits (Amsterdam: Fredonia Books, 2004), 169-170. Robert West, Banking Reform and the Federal Reserve, 1863-1923 (Ithaca: Cornell University Press, 1977), 71. Ron Chernow, The House of Morgan: An American Banking Dynasty and the Rise of Modern Finance (New York: Grove Press, 2001), 146. Dempsey et all v Envision Credit Union et all, 2005 BCSC S91786, 6-7. Wikipedia contributors. “Lend-Lease.” Wikipedia, The Free Encyclopedia Wikipedia, The Free Encyclopedia, 5 Jun. 2010. Web. 5 Jun. 2010. Antony C. Sutton, Wall Street and the Rise of Hitler (Sudbury: Bloomfield Books, 1976), 35. Roland Perry, The Fifth Man (London: Pan Books, 1994). The Corporation, writ Mark Achbar, Harold Crooks, Joel Bakan, dir Jennifer Abbot, Mark Achbar, Zeitgeist Films, 5 April 2005. America: Freedom to Fascism, dir Aaron Russo, Cinema Libre, 12 December 2006. The rice’s producers, California-based Ventria Bioscience, have been given preliminary approval to grow it on more than 3,000 acres in Kansas. The company plans to harvest the proteins and use them in drinks, desserts, yoghurts and muesli bars. Friends of the Earth campaigner Clare Oxborrow said: “Using food crops and fields as glorified drug factories is a very worrying development. “If these pharmaceutical crops end up on consumers’ plates, the consequences for our health could be devastating. “The biotech industry has already failed to prevent experimental GM rice contaminating the food chain. In the U.S., the Union of Concerned Scientists, a policy advocacy group, warned: “It is unwise to produce drugs in plants outdoors. The American Consumers Union and the Washingtonbased Centre for Food Safety also oppose Ventria’s plans. Imports would have to be accepted once they had gone through a scientific safety assessment. The development is what may people feared when, ten years ago, food scientists showed what was possible by inserting copies of fish genes from the flounder into tomatoes, to help them withstand frost. Two – lactoferrin and lysozyme – are bacteria-fighting compounds found in breast milk and saliva. The genes, cultivated and copied in a laboratory to produce a synthetic version, are carried into embryonic rice plants inside bacteria. Now the USDA, saying the rice poses “virtually no risk”. has given preliminary approval for it to be grown in Kansas, which has no commercial rice farms. He said any concerns about safety and contamination were “based on perception, not reality” given all the precautions the company was taking. Mr Deeter said production in plants was far cheaper than other methods, which should help make the therapy affordable in the developing world.